Founded in 1909, the Radio Club of America is the oldest, most prestigious group of wireless communications professionals in the world, with members across the globe. Its members are dedicated to the wireless art and science for the betterment of society. The Radio Club of America is a 501(c)(3) non-profit organization, and all contributions made to RCA are tax exempt. RCA’s 2019 Annual Awards Banquet Keynote Speaker Announced! 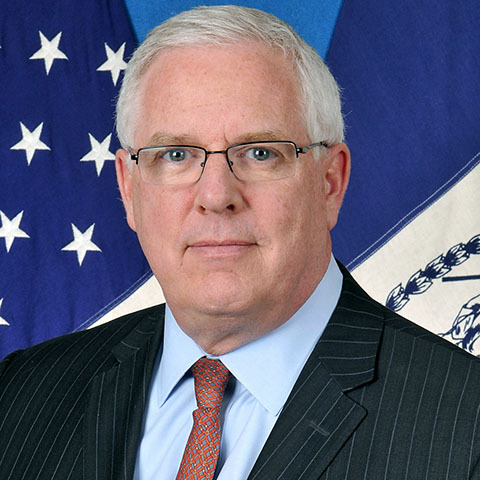 We are excited to announce that our keynote speaker on Saturday November 23rd will be John Miller, NYPD Deputy Commissioner of Intelligence & Counterterrorism. Commissioner Miller has also held positions as FBI Assistant Director of Public Affairs, as an ABC News reporter, and a as a senior news correspondent for CBS News. He has been on CBS This Morning and 60 Minutes, and is often remembered as the ABC reporter who interviewed Osama bin Laden in 1998. RCA’s 2018 Technical Symposium and Awards Banquet Was a Great Success! For those that were able to make the Technical Symposium and the Awards Banquet, both were great events! At the Technical Symposium 74 attendees watched 9 presentations. The slide decks will be up on this Website in a few days. Dr. Rappaport’s keynote was both excellent and moving on his life and career in wireless. The 2018 Awards Banquet’s Keynote Speaker was Dr. Ted Rappaport. Dr. Rappaport has over 100 U.S. or international patents issued or pending and has authored, co-authored, and co-edited over 200 papers and 20 books in the wireless field. He is the David Lee/Ernst Weber Professor of Electrical and Computer Engineering at the NYU Tandon School of Engineering He is a pioneer in RF propagation, wireless systems simulation, and 5G networks. His research has influenced international standards bodies for three decades. Another tour of the KDKA facilities, which was so successful in 2017, is being planned, as well as several other historic activities. Don’t miss this event! The IWCE Breakfast was held on March 7th at the IWCE Convention. Please Support Our 2018 Annual Banquet and Technical Symposium Sponsors! Carole Perry’s annual Youth Forum is one of the most well attended events at the Dayton amateur radio festival. Carole features a number of school-aged youth who have become interested in STEM (science, engineering, technology, and math) through their experiences with amateur radio. This was the 31st Youth Forum hosted by Carole Perry and RCA! The pictures below show some of the fun that took place at Dayton and the Youth Forum. Audience at RCA's 31st Youth Forum! 8 Dayton Youth Presenters with their prizes, thanks to the sponsors! Teachers at the Dayton Instructors' Forum also get training from Carole Perry in how to use amateur radio to increase interest in STEM. We are adding a new feature to the RCA Website: a short feature on a current member, what they are doing, and what their wireless interests are. The member that is featured will be changed regularly. If you are interested in being spotlighted, please send a brief summary of your wireless interests, a brief bio, your contact information, and a picture to info@radioclubofamerica.org. We cannot guarantee that every member will be spotlighted, but we will attempt to spotlight as many as we can. Greg Glenn is a seasoned radio frequency engineer with over 39 years of RF design, standards contributions, and product development experience. He has played an active role in the wireless industry as a member of ANSI 63.26 Commercial Signal Booster Task Group and the UL 2525 Standards for Public Safety “in building” Radio Communications, Standards Technical Panel. Most recently Greg has contributed in ex-parte requests from the Federal Communications Commission on issues affecting “in building” Distributed Antenna Systems. Glenn is also a regular speaker and trainer in the Public Safety RF sector contributing to the IWCE, APCO, CIBET, Safer building Coalition and various public-safety forums providing insight and direct anecdotal commentary. Glenn’s expertise and industry knowledge was developed over the years while working for Motorola, Pacific Wireless, and currently with SOLiD. The United States Patent Office awarded Greg a process patent for remote monitoring techniques. Greg is an avid RF enthusiast and can often be found testing various RF technologies in his personal lab or enjoying Amateur radio pursuits. 2. What are your specific interests or wireless areas of expertise? “In Building” signal distribution applications to serve the LMR industry as well as spectrum fingerprinting and interference mitigation due to intermodulation and spectrum regrowth. This includes best practices RF hardware design and commissioning of in building systems to assure that these systems do not interfere with macro radio networks. I am involved with the following committees/organizations: STP on UL 2525 Committee, NPSTIC – Spectrum Management, ANSI 63.26 Commercial Signal Booster TG committee, APCO Member, Safer Building – Code Committee member. 3. How many years have you been an RCA member? 4. What caused you to join RCA? Jack Daniel requested that I join. 5. Where do you live and work? 6. Is there a specific benefit from the RCA “Member Spotlight” that you are hoping for? I am looking to connect with other members that are involved with LMR, most specifically Public Safety “in building” communications systems to support NFPA and IFC requirements. Maintaining the history and the development of wireless communications. The history of our Club is one with which every member should be familiar.